This gold making tip has been in the game forever. It's not gonna make you gold capped, and there's plenty of other ways to make more gold. Still, if you're a new player in the zone, this should make you some easy gold. But if you're an alchemist, can you make even more gold? Frost Oil gives your weapon a nice glow! The Recipe: Frost Oil can be obtained only from a single vendor in the game. 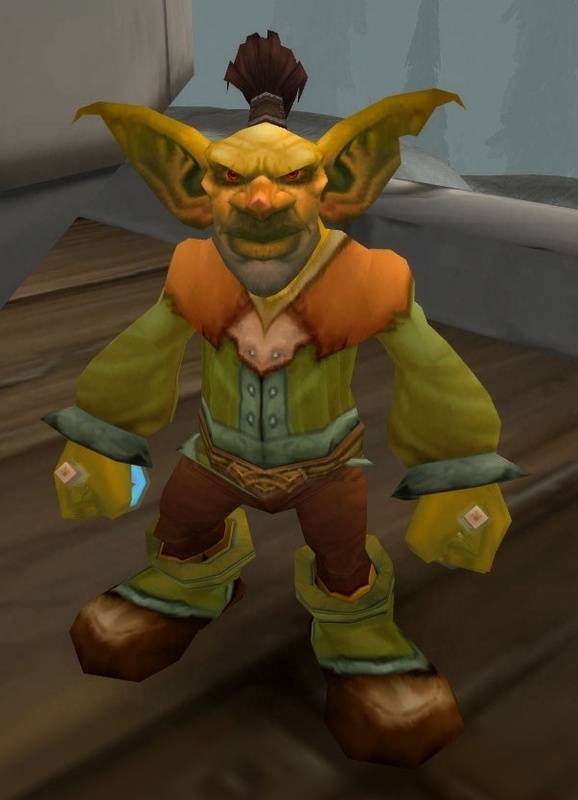 The vendor is Bro'kin the goblin in Hillsbrad. 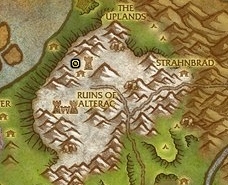 He's among the ruins of Alterac at 44,21. See the pictures for a better look. Since the recipe is BOE, the gold making tip is to purchase this from the vendor and relist it in the auction house. I've noticed that horde auction house has more of these available usually, so alliance should be making more gold from this tip. It costs only 25 silver if you don't have racial or guild perk discounts. However, even on the larger realms there's rarely people selling this in the auction house, so it's very likely that you can make many, many times more money than what you paid for it. For example, even now I'm the only one selling it and I keep the price at around 500g. Because it's not a necessary recipe, it can often take days to sell. Keep in mind that the recipe is available in limited quantity. Bro'kin restocks his inventory randomly. Sometimes you have to wait a few hours for an another recipe to appear, sometimes only a couple of seconds. To make more gold, you should list only one of these recipes at a time. It's not only looking more valuable then, but there's rarely more than a single sale in a day or two. Learn or sell the recipe? Alchemist can make even more gold from this gold making tip by learning the recipe instead of selling it. Even better, purchase one recipe for selling purposes and grab an another one for you to learn! Frost Oil requires simple reagents. Still it sells for 30-100 gold each from my experience. It's needed for 7 different profession recipes, so there's uses for it. To learn it, you need 200 points in Alchemy. Vendor recipies are a common way to make easy gold off lazy (or uninformed) people. I actually find the best way to farm up these vendor recipies (especially in Azeroth) for the new entrant is to roll up a DK... as soon as they exit the starting zone, they'll basically have a full set of flight paths already learned and after 2 or 3 levels, they can get flying on their own as well. I like this recipe, you can sell it easily and Icy cloaks are selling great too (100g-200g).